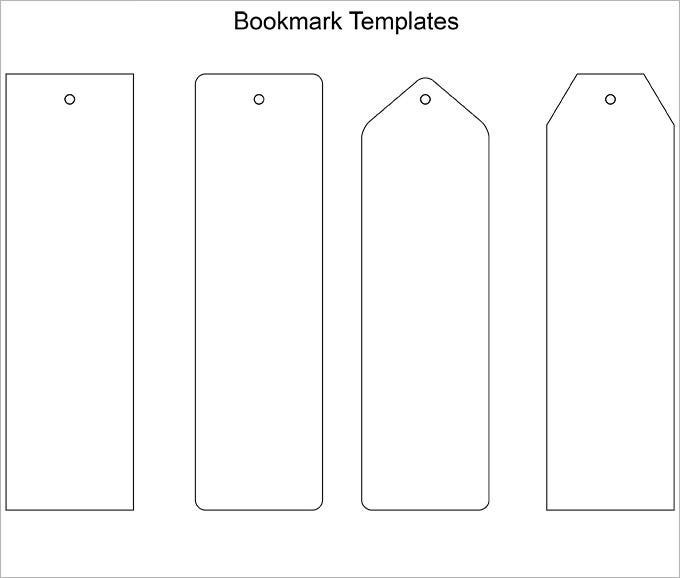 Blank bookmark templates are found easily throughout the Internet for free and they are printable in nature. 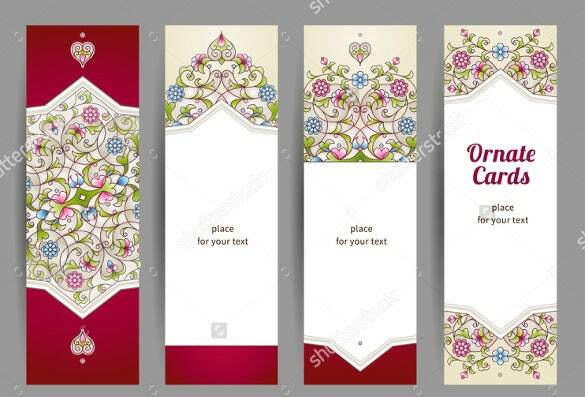 These blank templates are suitable for use as bookmarks and they are available in a wide range of colours and patterns and you can download those which cater to your requirements and tastes. 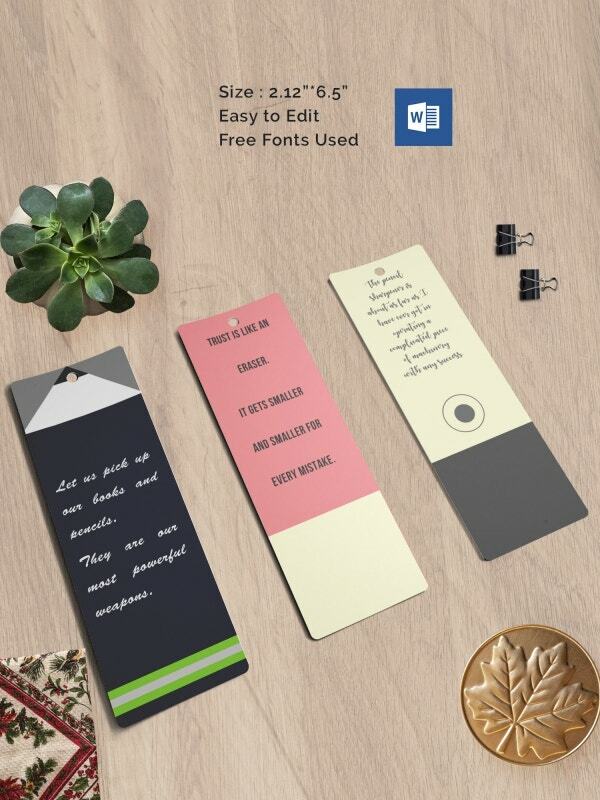 All of the free bookmark templates tend to be blank, free, editable and fully printable. 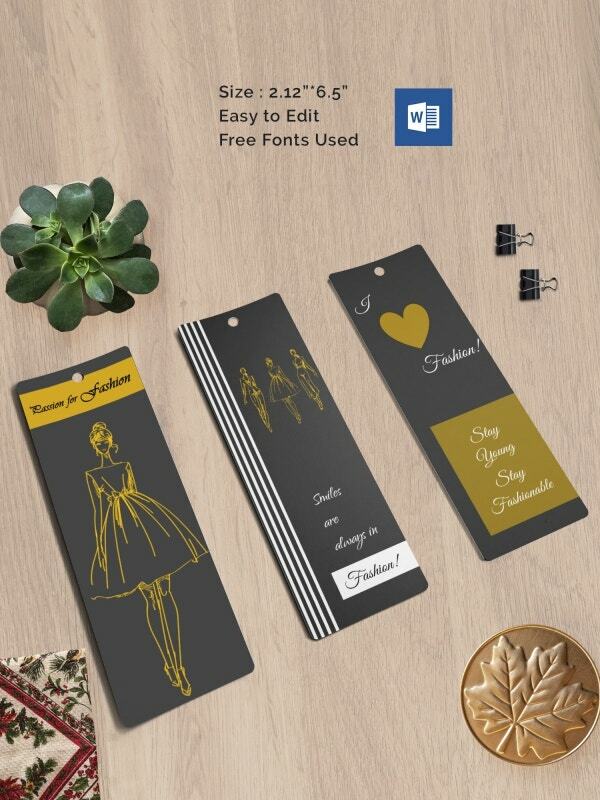 The templates are offered in convenient formats, which mean that you are able to use them easily without any hassle to create any kind of bookmark of your choice. You can also see Blank Spreadsheet Templates. 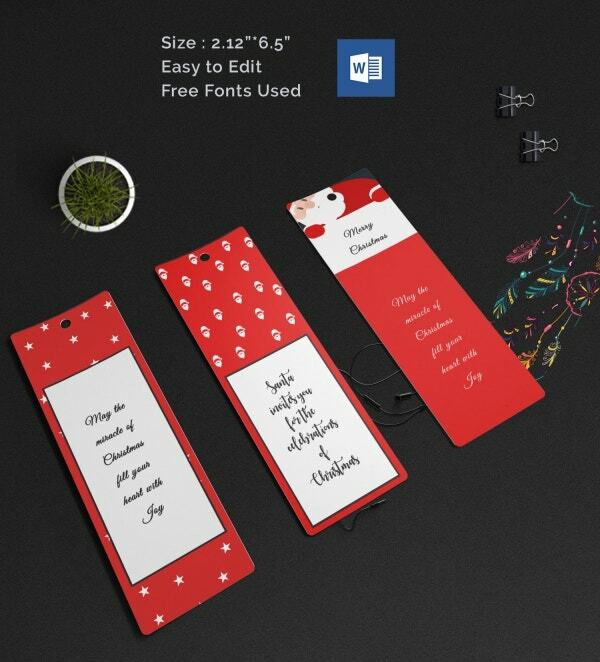 Free Download Easy Bookmark Designing Using Blank Bookmark Templates, Blank bookmark templates are available widely through the internet. They are available free to download and promises to be printer friendly. 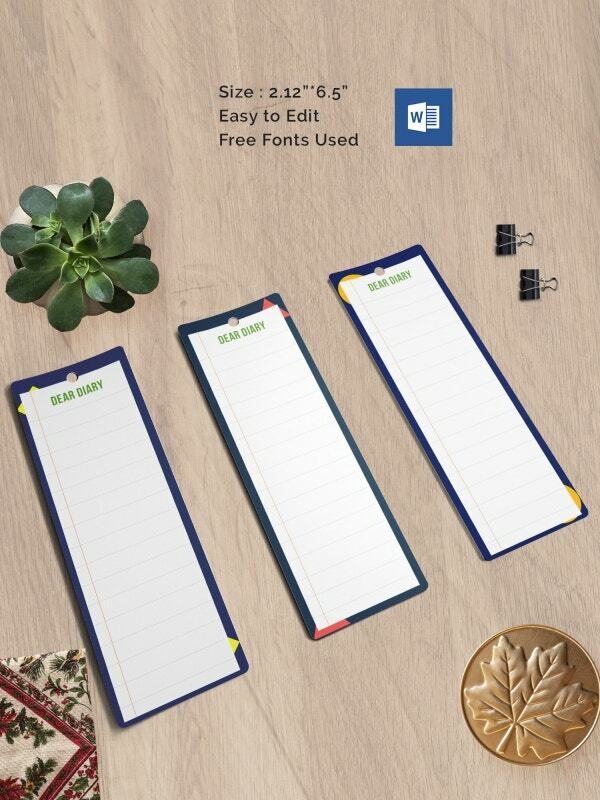 These blank templates are perfectly apt to be uses as bookmarks. 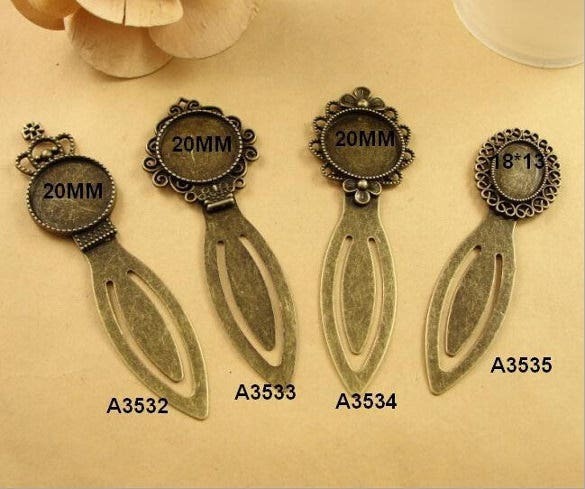 They are available in different color patterns. These can be downloaded as per the requirement and taste. 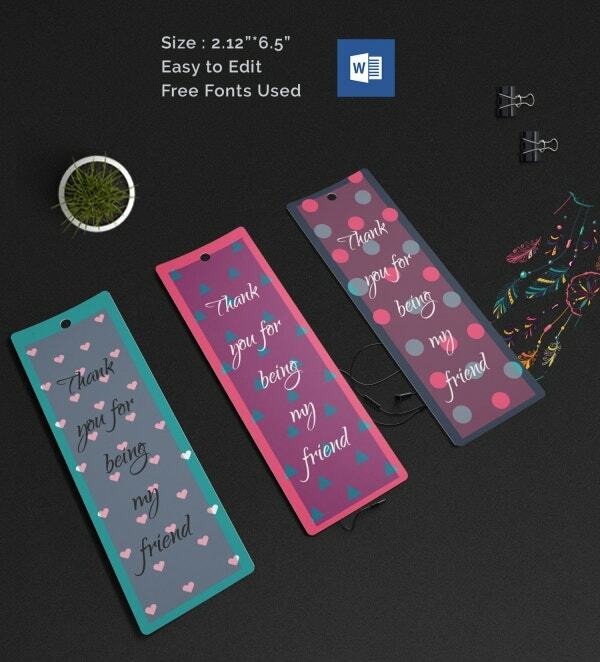 These Bookmark Templates usually comes blank or with sample formats that could be easily customized and totally printable. These templates come in convenient formats that ensure easy use without any kind of hassle to develop the best type of bookmark as per choice. 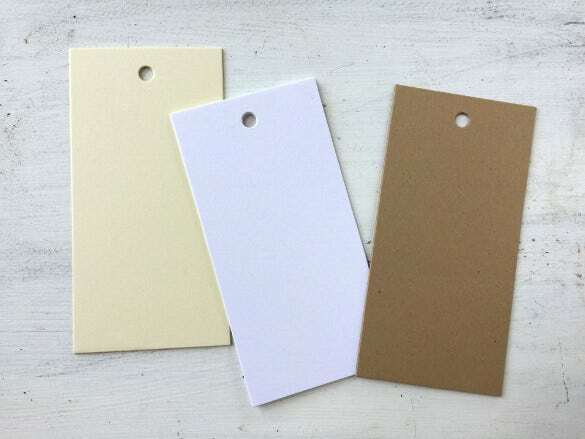 This blank white color bookmark template would be ideal when you are looking for a readymade bookmark cut out which you can easily paint up with your own colorful imagination. 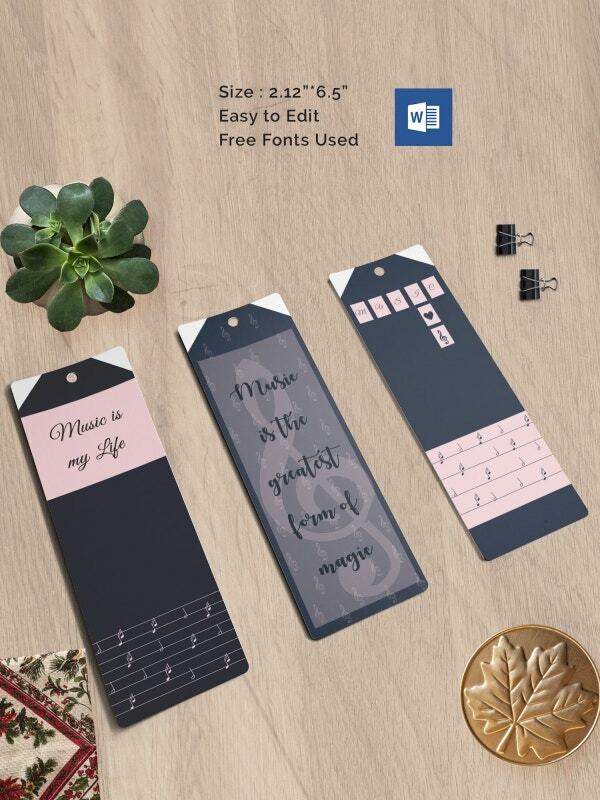 The wooden effect always carries a rare classy feel and the bookmark template here duly echoes that elegant effect to the T. You can paint it up or fill it up with cute stickers. 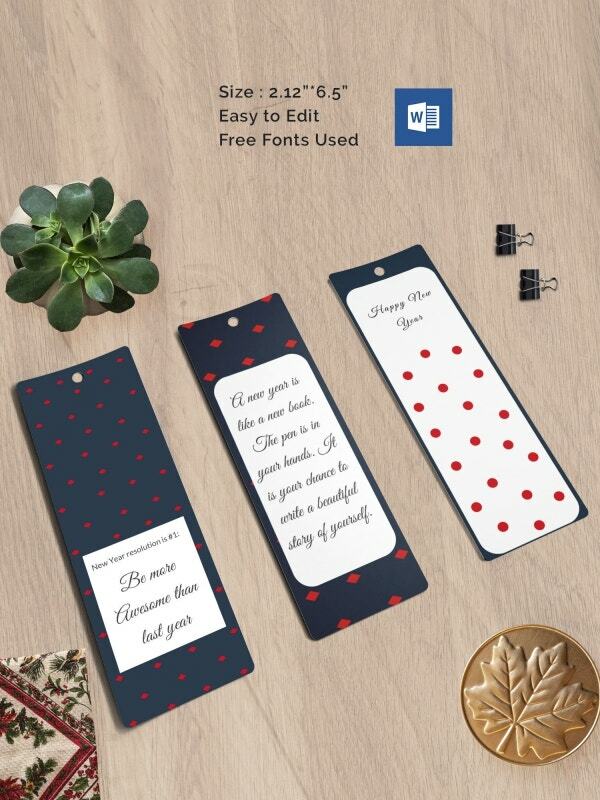 With polka dots at the background, these bookmarks seem to have come our straight from the fashion magazines of 1970s. 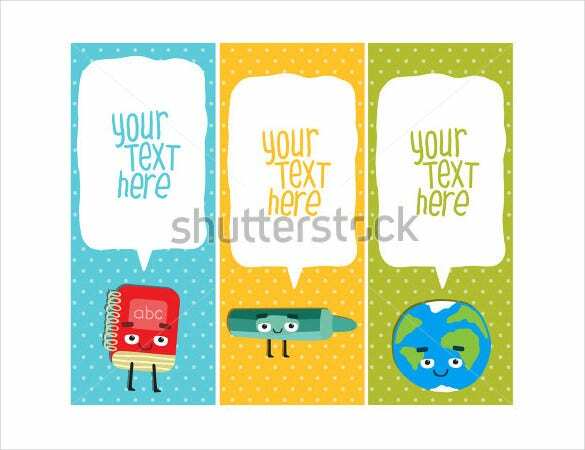 The illustrations are real cute and you can personalize the templates with your own text. 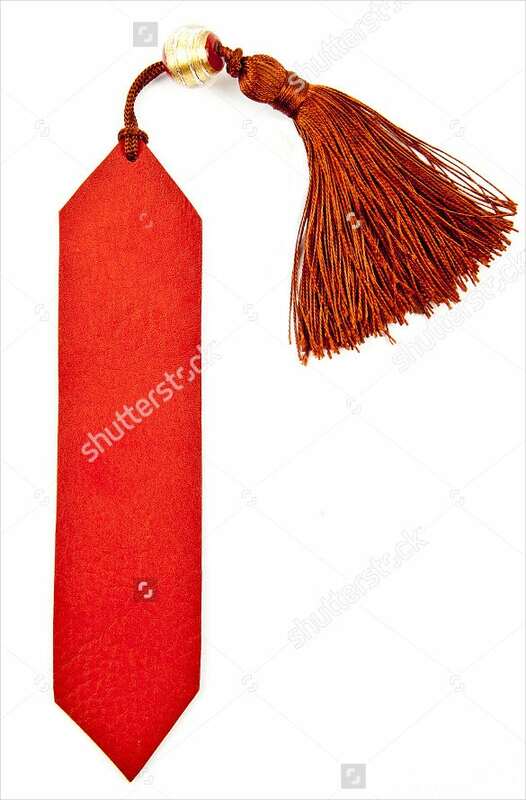 The gorgeous tassel has rendered a beautiful classy appeal to the overall template and you can easily gift it as a special present to a near one. The red handmade paper frame is equally classy. 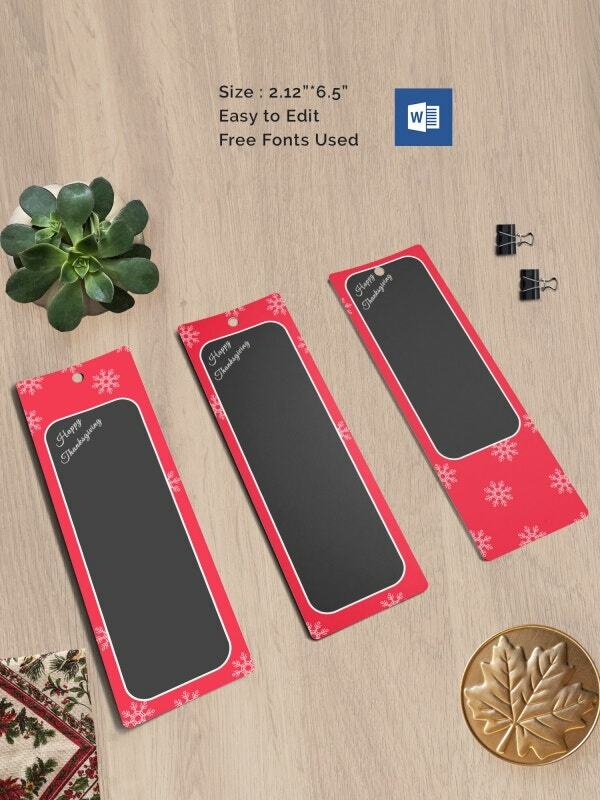 If you are in need of a good lot of bookmarks for your mini library, this template bundle here would be amazing for you with its great set of as many as 50 blank bookmark templates. 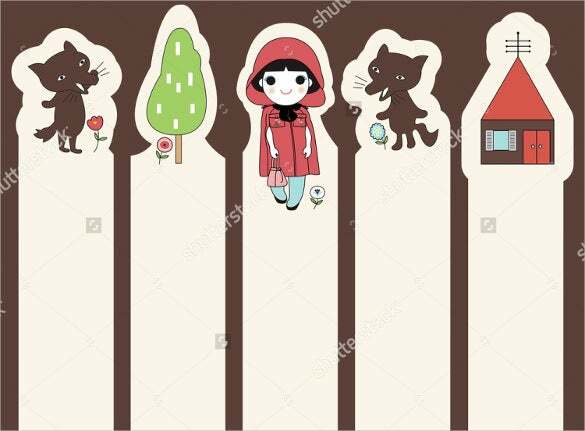 If you are in need of adorable bookmarks for kids, these cute cartoon bookmark templates would make the day for you. You are getting sizeable blank space to note down your personalized message. 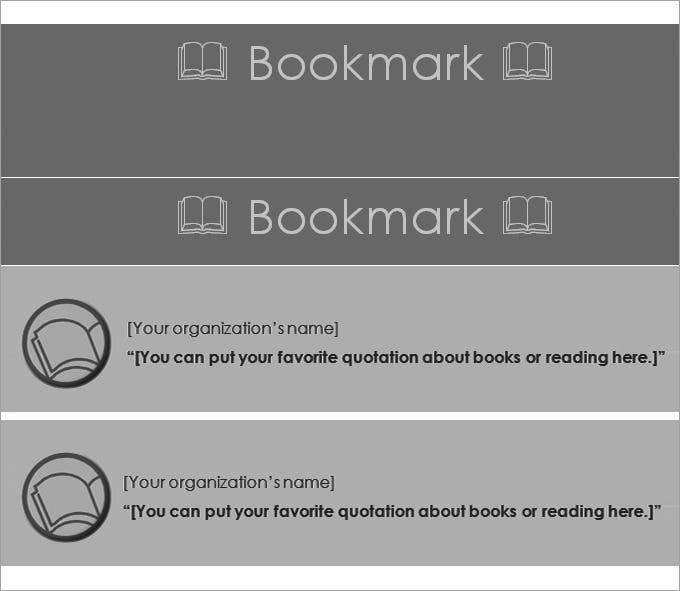 You are getting a simple yet smart print-ready blank bookmark template here for your favorite book. It’s minimalist but carries a unique elegance and would make a nice addition for your book. 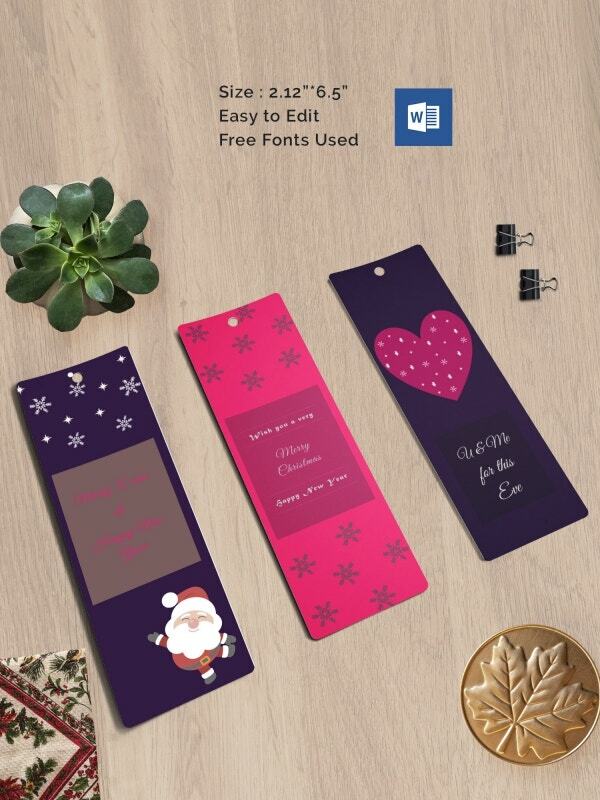 If you are on the lookout of something different & out-of-the-box with your bookmark this glossy blank bookmark template with an exclusive glam effect, would be a great pick for you. 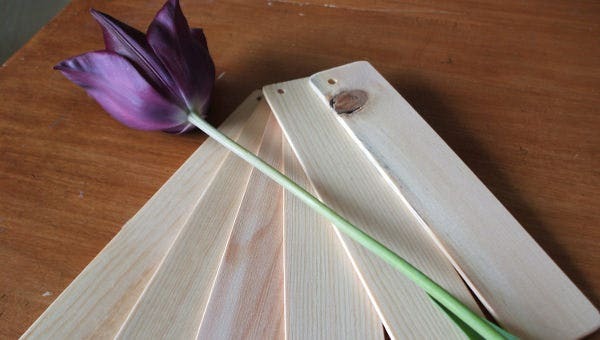 timvandevall.com | You are getting a nice array of versatile bookmark templates here in various shapes and patterns. The yellow border looks neat and smart while the blank space in between could be used for your personalized text. 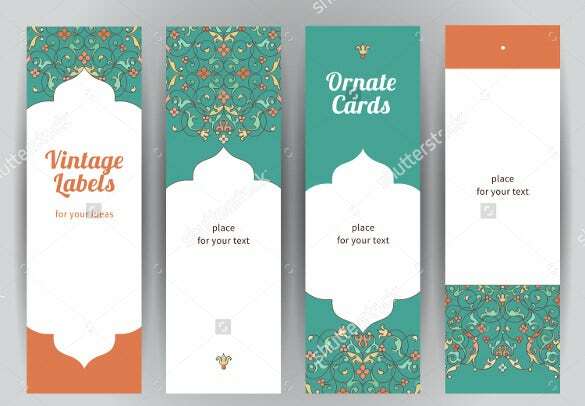 If you are on the lookout of stylish bookmarks, these bookmark templates with ornate floral designs are sure to impress you. The ornate design is present both at the back and front of the template. 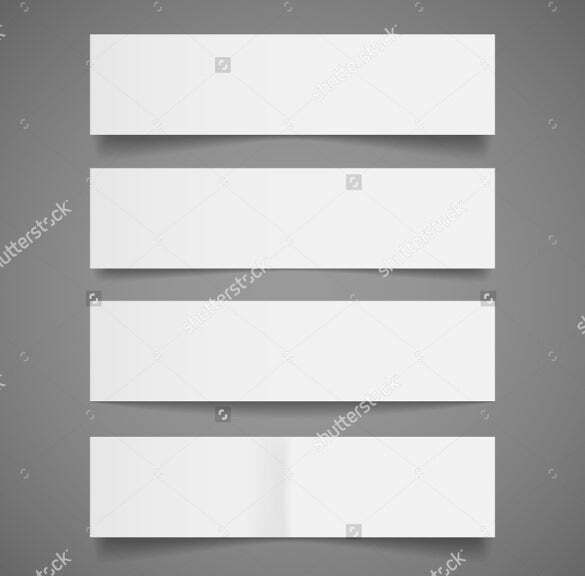 2×6 Inch Bookmarks Blank Template is free to download and comes with attractive layout. It could be customized. With printer-friendly, the templates promise some cool features like layered PSD files, color options, and simplistic design. Red Bookmark Blank Template is multi-columned. It is available in different shades of red color patterns. The template is available in PDF and word formats. It is easy to print. 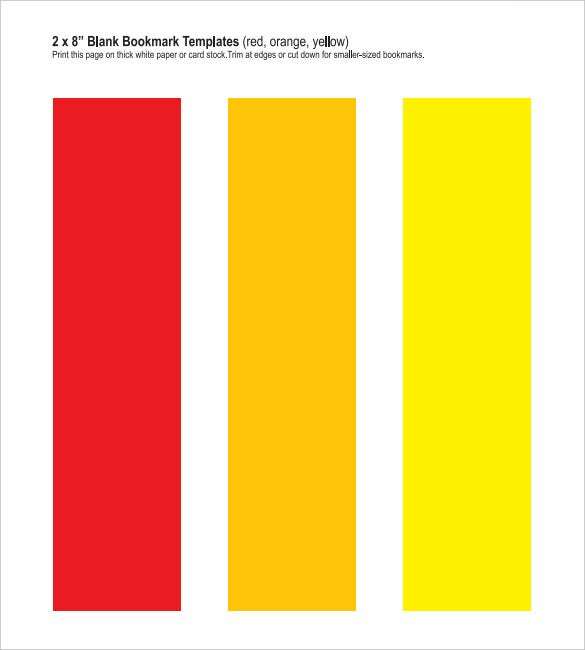 creativity-portal.com | Similar to the Red Bookmark Blank Template, the 2×8 Blank Bookmark Template is also multi-columned. However, it is available in different color shades. The template is available in PDF and word formats. It is easy to print. This free printable blue bookmark template is perfectly apt for bookmark and flyer designing purpose. It is available in PDF and Word and Excel format and could be downloaded for free. 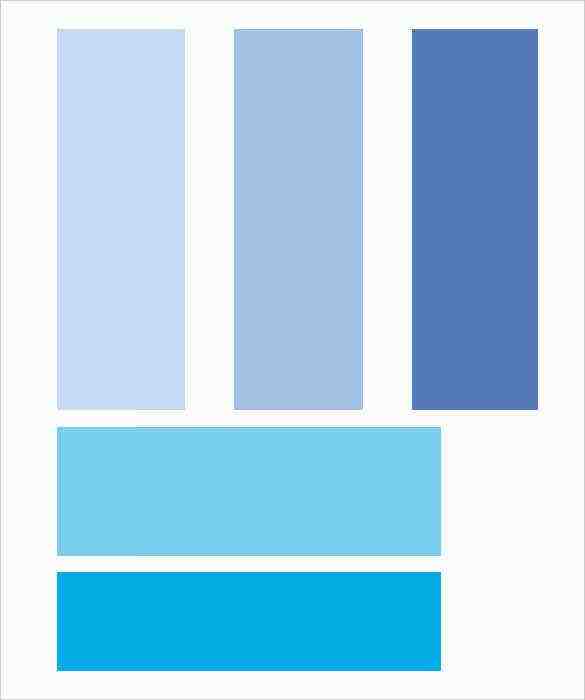 Blue Bookmarks for Boys template is available in PDF Format. 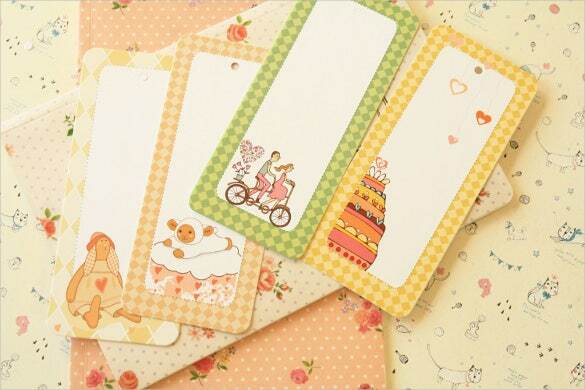 The template comes in different style and design which makes it perfect to be used for bookmark purpose. Different color shades can be incorporated. 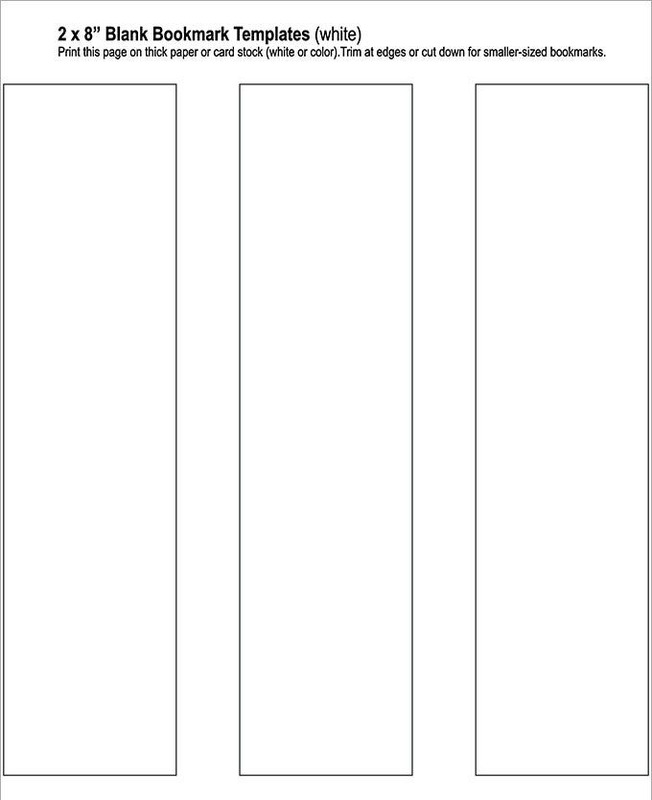 Blank White Bookmark Template is printable and could be downloaded in PDF format. You can introduce different color effects and font styles. The template is easy to customize as per the requirement of users. Burris Blank Printable Bookmarks is a word format template that promises to fit perfectly on every kind of Burris Computer Forms® 4 Per Page of Bookmarks. It is easy enough to get edited. 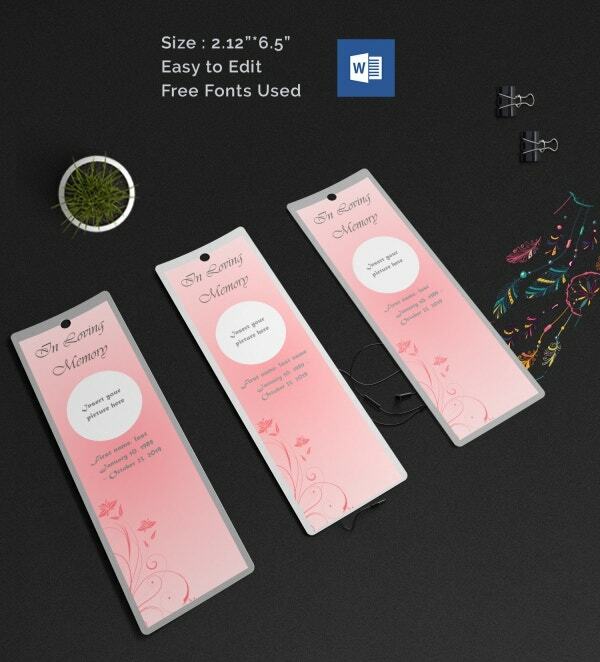 Free Bookmark Template is a cleverly designed blank bookmark template that is easy on the eyes. In this template you can have your bookmarks and company details in horizontal columns. 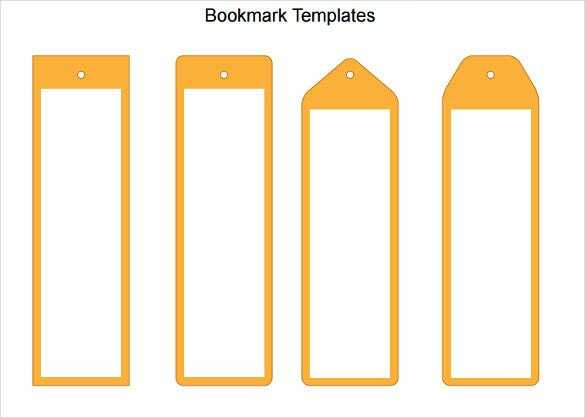 Blank Bookmark Template is a minimally designed blank bookmark template that has a clean look. 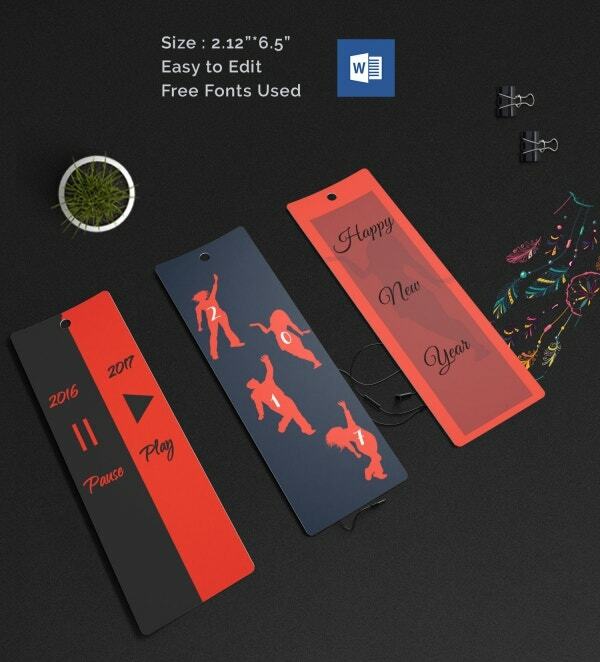 This template is blank with some shapes and design on it wherein you can enter your bookmark details. 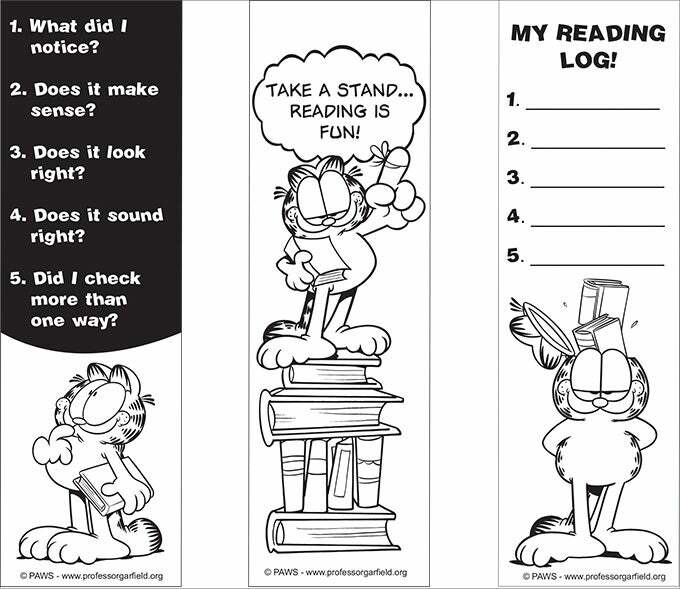 Bookmark form Professor Garfield template comes with a funny and cartoonish design that would definitely cater to the younger audience. The contents could be modified along with addition of impressive color shades. 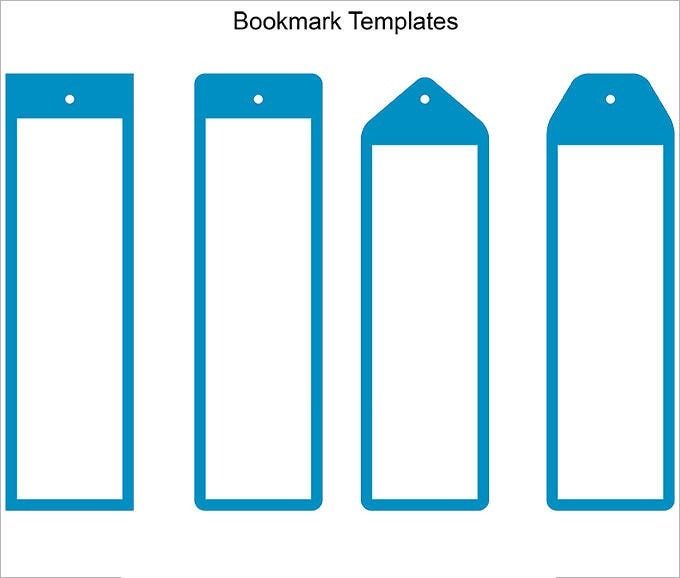 Bookmarks for kids Template comes totally blank with blue borders. Images can be inserted while backgrounds can be made more colorful. It is printer friendly and can be downloaded in Word and PDF format. 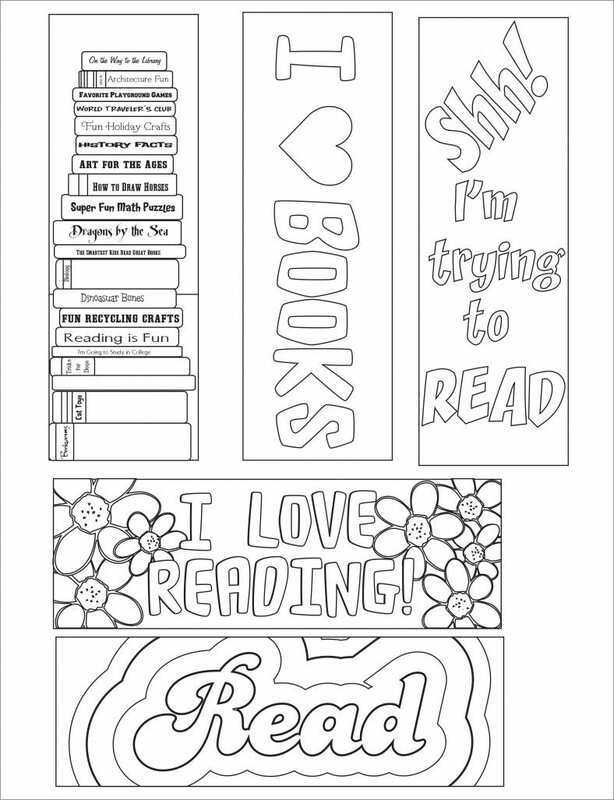 Reading Coloring Bookmark Template is free to download. It comes with attractively crafted contents with unique font icons to make the design look for interesting. However, customization option is also available. 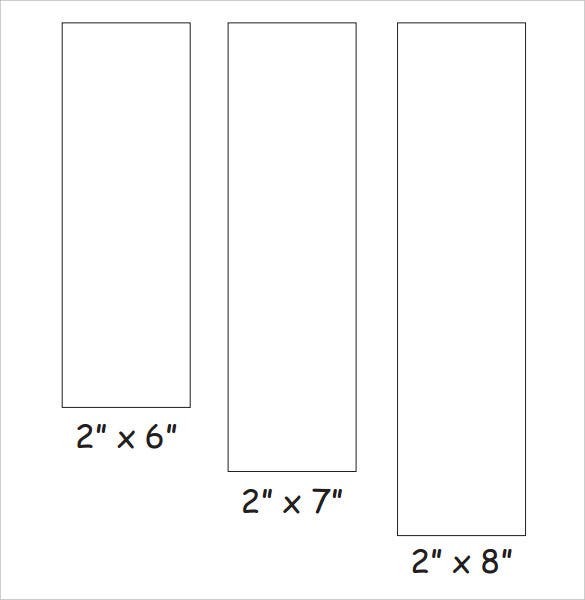 The free blank bookmark template could be easily printed on different kinds of paper. The template is easy to customize as per the needs. 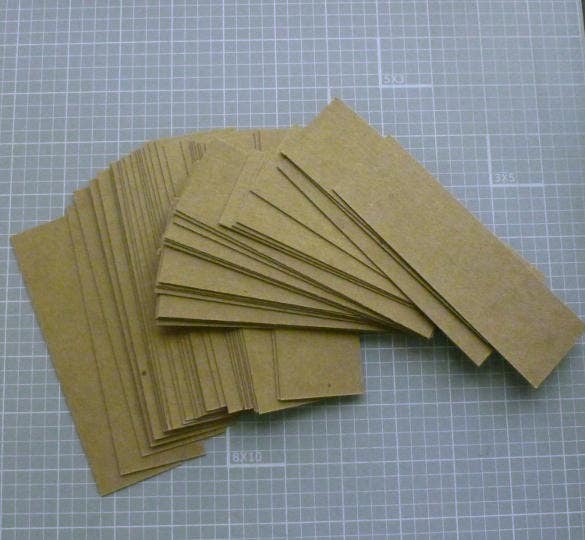 Being totally blank, they could easily be used with any type of books. Bookmarks are really nice things. 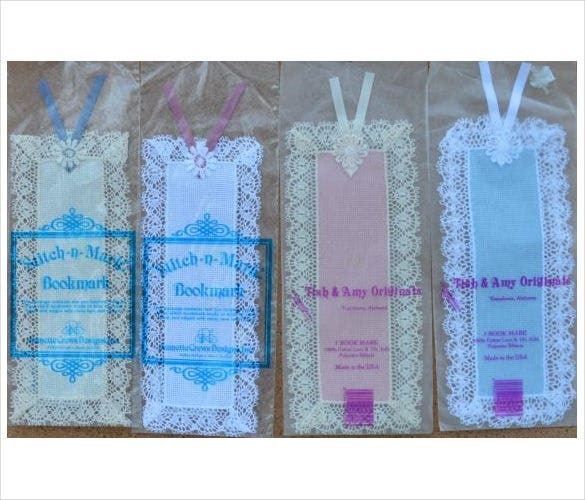 Nowadays people don’t need to go out and shop for bookmarks as they are easily available on the Web for free. They can just browse, pick the one they like, and print it instantly and it’s ready to use. 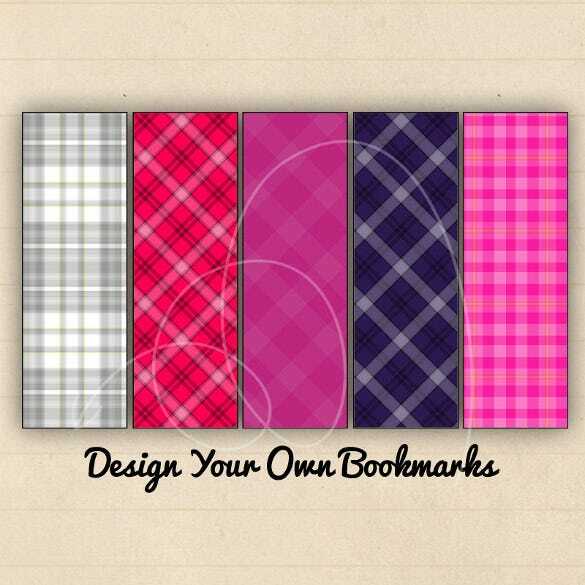 We have shortlisted some amazing blank bookmarks templates – in all different colors. The templates are free, easy to download and easy to customize. Scroll down through our compilation and make your pick! 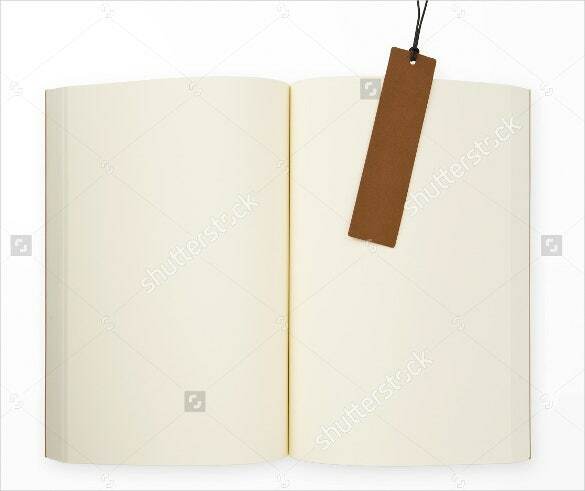 Blank bookmark template could be highly useful in terms of accessibility and customization. They are widely available through the internet and can be easily downloaded and printed. They are blank in order to provide easy edit option while ensuring minimal working on the details. If looked properly, there are numerous Free Bookmark Template formats available that could be utilized as per the preferences and needs varying from one user to another. 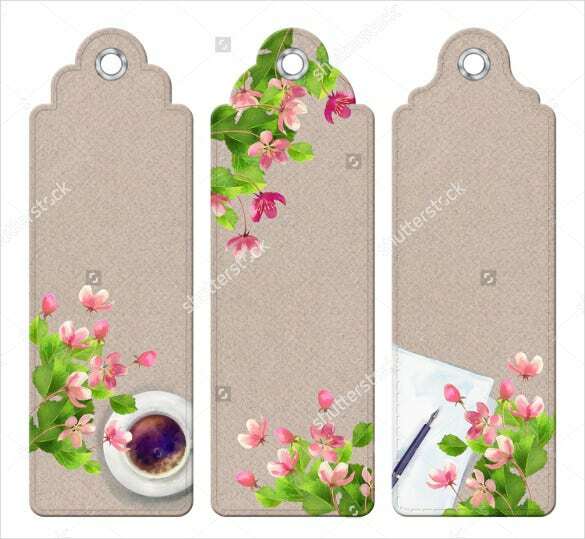 The blank bookmark templates may be printed on different types of paper so that you can work with materials and customize them as per your needs. 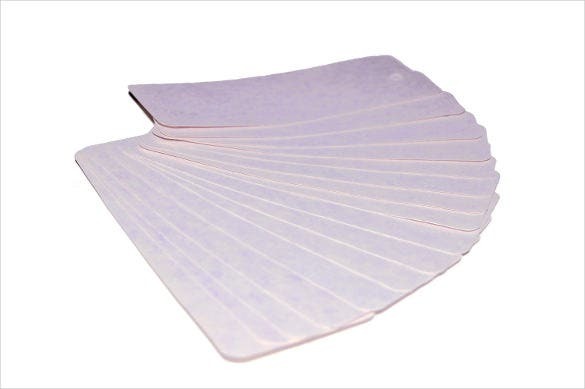 Their flexible nature and the fact that they are entirely blank, allows you to use them with different books while reading. 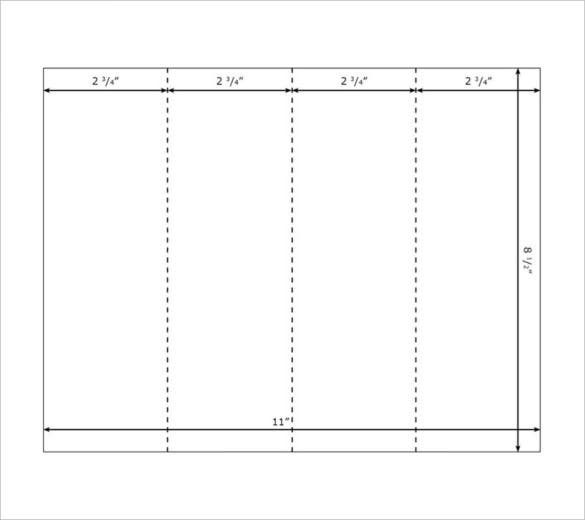 You can also see this blank invoice template. Yes, it can be done. But before proceeding any further, it is equally important to consider certain aspects. Most importantly, you can create two kinds of bookmarks through the MS-Publisher: Hyperlink bookmarks that could be used for creating jumps or links to some specific locations on some publications or page. 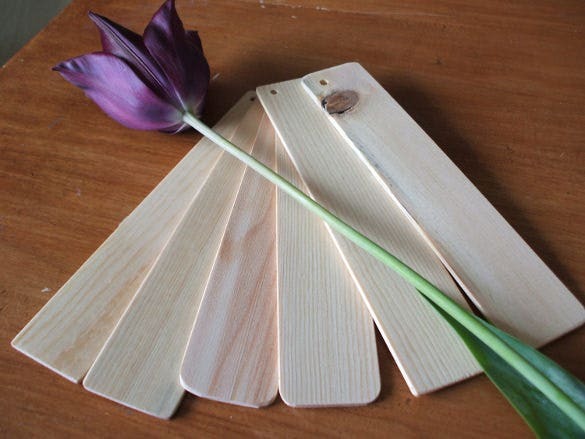 And then, the normal bookmark templates that could be used for creating bookmarks for different books. The truth with MS-Publisher is that it never includes any kind of publication designs exclusively for bookmarking purpose. But the funny part is that any of the existing publication designs could easily be used to develop bookmarks. Publications being used to print more than one copy per page like business cards, gift certificates, and postcards are easily customized to be used as bookmark. In fact, bookmarks could be created from the scratch. 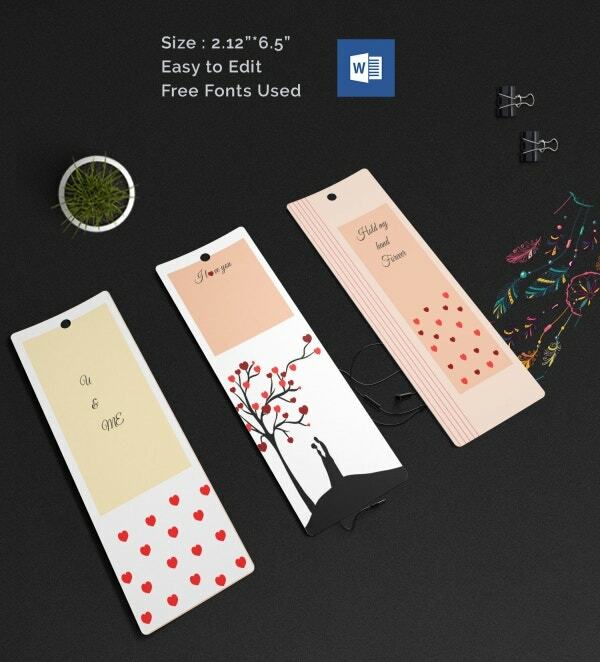 You Also See Weeding Bookmark Templates It must be noted that if you are planning to print double sided bookmarks on duplex printer, it is necessary to change the options in Print Dialog Box in order to select the way the publications need to be printed on each of the sides. The options available on the Print Dialogue Box would vary depending primarily on the type of printer being used. 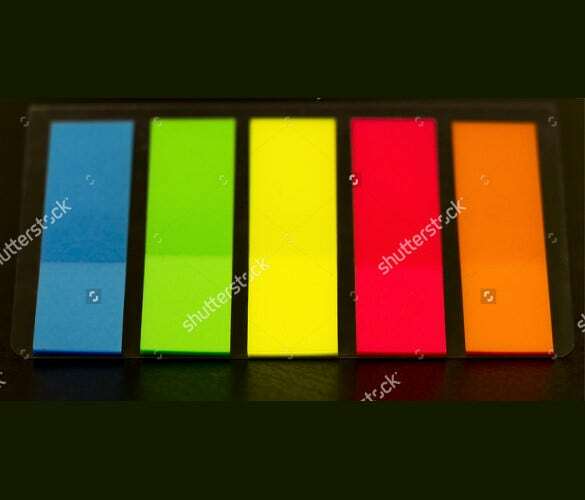 For printers with 2-sided, flip on short edge option, it must be ensured that contents on every side of the bookmark get printed in the exact same direction. First get printed a sample test sheet to determine on the settings. 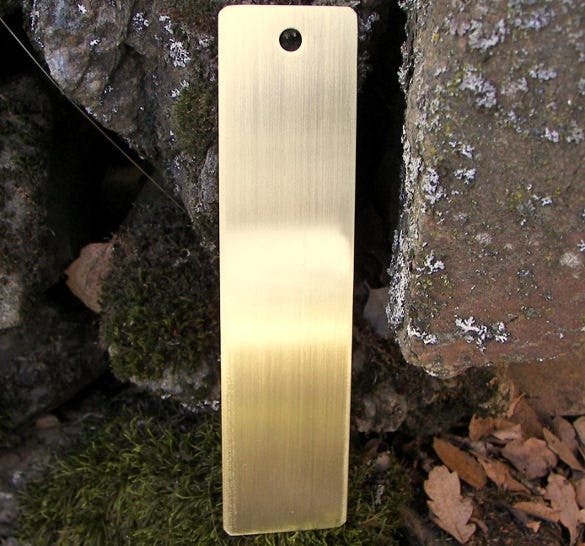 What type of a bookmark template are you looking for? 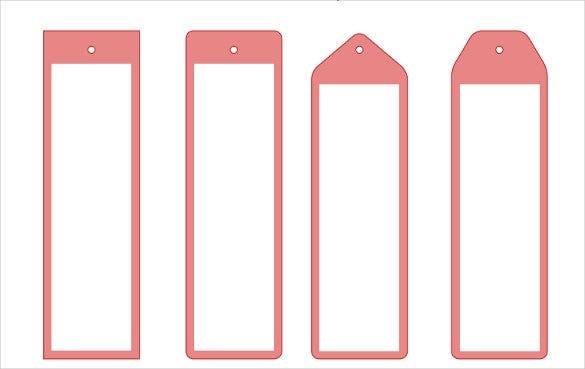 The bookmark template word or any kind of blank bookmark template, editable bookmark template, printable bookmark template, and free bookmark template options are available. 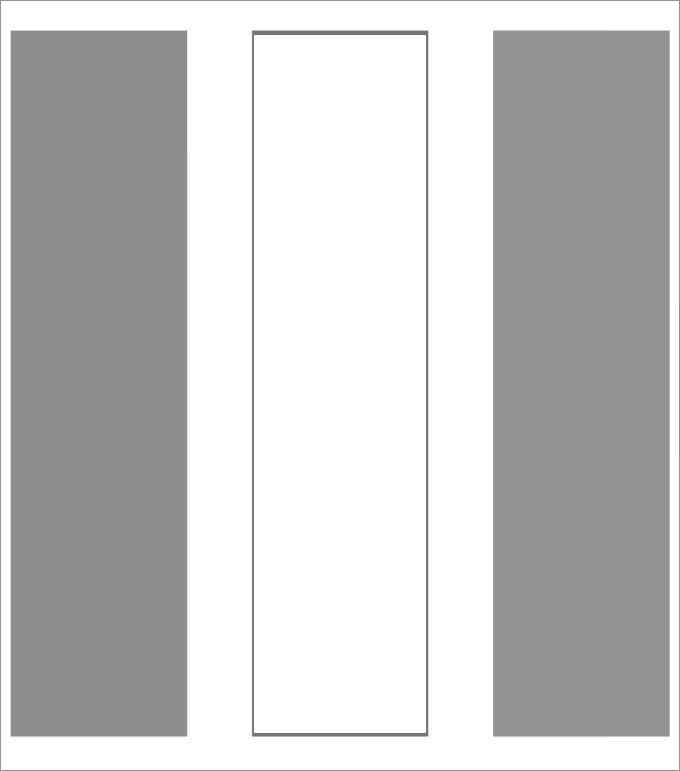 You can even design a bookmark template. Simply download blank bookmarks or template for bookmarks or bookmark template pages to get the job done. If you have any DMCA issues on this post, please contact us!